Thank you for your support of St. Clare School, our “Small School with the Big Heart”! St. Clare School relies on the generous support of our community and friends to help us develop lifelong learners who will embrace the future with hope and become the leaders of tomorrow. Your support is critical to our mission. Gifts to the Annual Appeal (held each autumn) range from unrestricted to project-specific campaigns. Endowed giving supports the long-term financial health of St. Clare School. Each year, gifts to the Endowment are generously matched by the Joseph E. Weston Public Foundation of the Oregon Community Foundation. Visit our Endowment page for more information. St. Clare provides tuition assistance for families who desire a Catholic education for their children but are unable to afford one. Gifts from non-parents and guardians (made throughout the year, and during our spring Support-a-Student campaign) are generously matched by the Joseph E. Weston Public Foundation of the Oregon Community Foundation. To make a gift to Tuition Assistance, click here and select “Support a Student” in the drop-down menu. St. Clare School welcomes gifts to specific areas you designate, such as facilities, sporting equipment, classroom needs, event support, etc. Your gift will be directed to the area of greatest need. It’s easy to donate a car, motorcycle, boat or RV to benefit St. Clare School through our relationship with Charity Connections. Simply visit our school donation page and complete and submit the online donation form. A representative from Charity Connections (a non-profit arm of the Volunteers of America Oregon) will contact you to schedule a convenient time to pick up your vehicle. Charity Connections will will sell the vehicle and provide you with a tax deductible receipt for 100% of the value. Please note: if your vehicle sells for over $500.00, Charity-Connections is required to request your SSN. Your SSN will appear on the receipt sent to you by VOAOR. Upon the sale of your vehicle, St. Clare School will receive a check for 60% of the sales proceeds. Gifts can be made by check and sent or delivered to the school during regular business hours. Click here for secure online giving through your major credit card. Contributions of appreciated stock or other capital assets may result in significant tax savings. The Archdiocese of Portland acts as an agent for St. Clare School in this process, and forwards the cash resulting from such a transfer to the school to be used as you have designated. To transfer appreciated stock or other assets, please contact the St. Clare School Development Office at 503.244.7600, x239, or email Renee Cline, Development Director. Legacy gifts provide an opportunity for you to continue to support the school after you are gone. There are many vehicles through which a planned gift can be made. 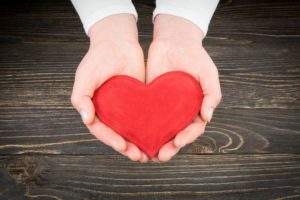 Some examples are bequests from a will or trust, designating St. Clare School as a remainder beneficiary under a retirement plan, and Charitable Remainder Trusts (CRTs). The school can assist you with gathering information which can help you make an informed decision. If you are planning a legacy gift, please contact Renee Cline, Development Director at 503.244.7600 x239.